Clark was born in Oregon City on Thanksgiving Day, at the Women’s Maternity Hospital and weighed 3 pounds 4 ounces. After two weeks in an incubator, he was taken home by his adoptive parents Norton and Genevieve Nicholson. Clark grew up and was raised in Molalla on his parents poultry farm and worked there during his school years. Clark attended Molalla Elementary School and Molalla Union High School, graduating in 1968. Clark joined the United States Navy in 1968, was trained as a gunfire control system technician on the Newport News Cruiser. Clark received an honorable discharge in 1977. Clark married his grade and high school sweetheart Carol Schultz. Clark and Carol enjoyed hiking peaks in the Columbia River Gorge, Mt St. Helens and yearly trips to Hawaii. 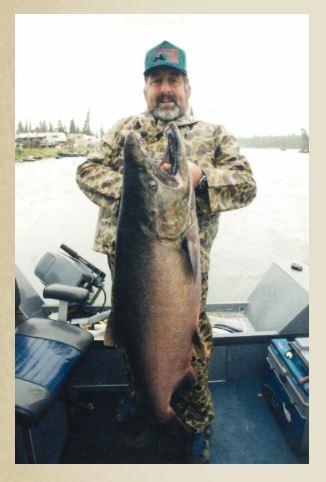 Clark was an avid fisherman, hunter and had a hobby building fishing poles. Clark passed away with his wife Carol at his side after a 5 ½ year battle with cancer. A military service will be held at Willamette National Cemetery on Monday August 28, 2017 at 2:30 PM. A Celebration of Life will be held at a family friend's on Saturday September 23 from noon to 3 PM. 1845 Bay Meadows Dr., West Linn, 97068. Contact: Marsha K Gross, MarshaKGross@gmail.com. Clark requests that memorial contributions be made to the Canby Area St. Vincent Depaul food bank or a charity of choice.